Once banned from the London stage, Strauss's radical opera has been seducing London audiences since 1910. Since its first Covent Garden performance in 1910, Richard Strauss's opera Salome has enjoyed a long association with the Royal Opera House – to date six productions have been staged at the home of The Royal Opera. The stagings across more than a century are explored in a new exhibition about the opera at the Bob and Tamar Manoukian Costume Centre in Thurrock, which supports the Royal Opera House's Design Challenge for sixth form schools and colleges. With an array of historic costumes and other objects from the archives, the exhibition explores the striking designs and skillful artistry of interpretations of the opera that have appeared on the Covent Garden stage over the last 100 years. Perhaps the most notorious staging of the opera at the ROH was Peter Brook’s controversial 1949 production (for the then-called Covent Garden Opera Company). Brook's production featured designs by Salvador Dalí that were criticized as putting style above substance. 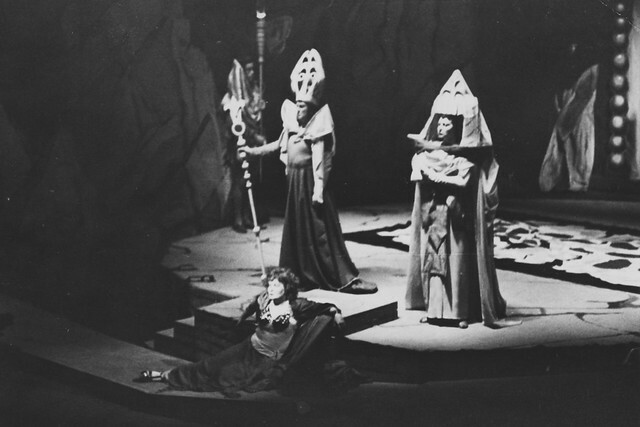 This accusation was particularly levelled at the production's large, geometric headdresses that were said to have inhibited the audience’s ability to hear the singers (and to boot, were apparently particularly uncomfortable to perform in). Controversy bubbled below the surface of earlier stagings too. The oldest item on display is an Attilio Comelli watercolour and pencil costume design for the 1910 production, which shows the character of Jokanaan (John the Baptist) who was sung by leading American bass-baritone Clarence Whitehill. 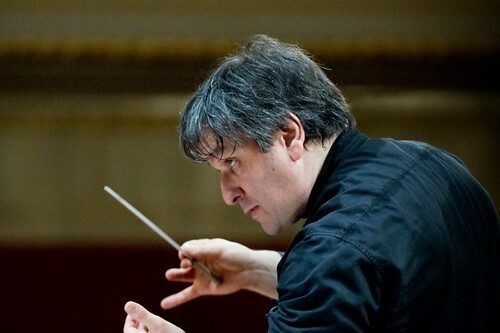 Interestingly, in the designs Jokanaan is referred to only as ‘the prophet’, probably because of the controversy over the opera’s biblical content. Indeed, British conductor Thomas Beecham was only able to get the opera performed at Covent Garden at all after he and composer Richard Strauss agreed to tone down the libretto. Particularly striking across all the productions is the diverse richness of the costumes. This is especially evident in the designs for Andrzej Majewski's 1970 staging, and in particular the costumes for Herod and Salome. Herod’s costume comprises a heavily decorated robe, apron, cape and two stoles, while Salome's multi-layered cloak boasts peacock feather patterns on layers of gold mesh fabric. The costumes were mounted by the Collections team with the help of Janie Lightfoot Textiles. Equally diverse are the stage designs themselves. Included in the exhibition is a complete, scale model for Peter Hall's 1988 production, designed by John Bury and featuring dappled and reflective silver. This model shows the size, shape, texture and colour of each element making up the proposed setting, together with the layout, spaces and relative positioning of the scenery. Some of the pieces from this model were later used elsewhere but, with the help of the ROH Model Room, the Collections team were able to reconstruct the model to reflect the designs as closely as possible. Design of course is not confined to the stage, and the collection also features a trio of original promotional posters advertising a 1912 performance and the 1988 and 2008 productions of Salome. These show the changes in style and design of Royal Opera House posters, from the bold black and green text of 1912 to the strong graphic design of the 1988 poster and the arresting photography in the 2008 poster for the current production. All of the objects on display have been mounted to ensure their long-term preservation using conservation grade materials. For example, all three posters are mounted without adhesive and placed instead in clear archival polyester pockets sandwiched between two pieces of acid-free mount board. 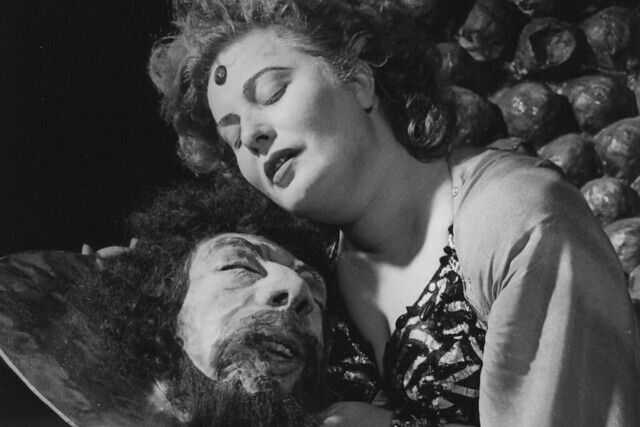 More than a century after its premiere, Salome continues to shock and inspire in equal measure. Careful archiving by the ROH Collections team ensures that treasures from past productions can be enjoyed for years to come. 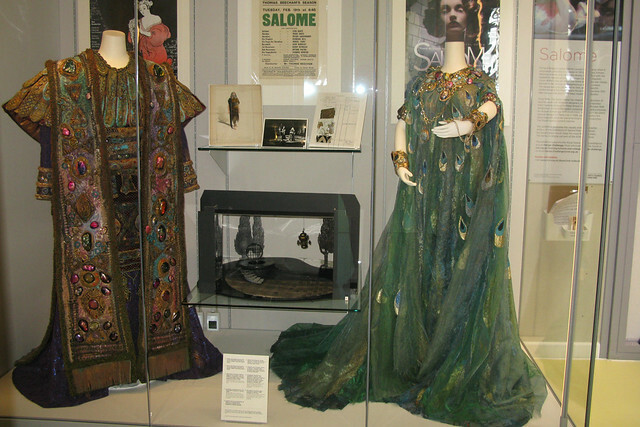 ROH Collections' Salome exhibition is now available to see on tours of the ROH Thurrock site. Items from the Collections were also at the Opera: Passion, Power and Politics exhibition at the V&A Museum, until 25 February 2018. I have the DVD of Salome starring Bryn Terfel as Jochaanan - and find it wonderful and enthralling, both in the music and Bryn's incomparable vooice and acting. It is certainly a strange piece - haunting and disturbing. I got thsi DVD fromAmazon.